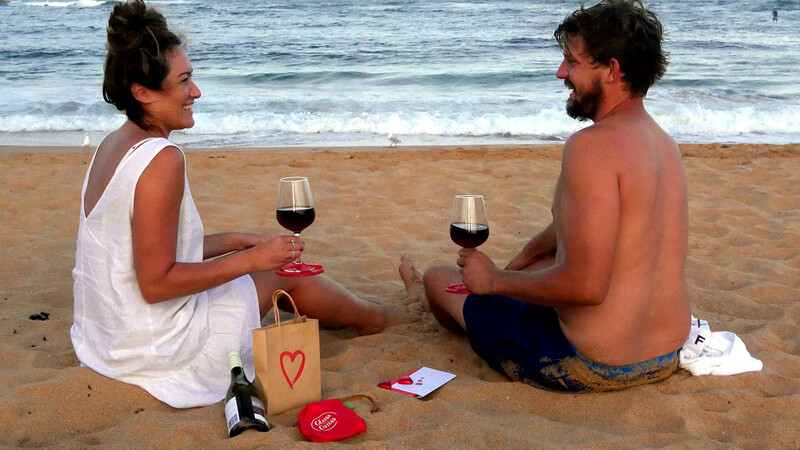 Our Valentine’s Gift Pack gives you a head start! It contains 2 ‘Aussie made’ Glass on the Grass™ bases, 4 Cadbury Milk Heart Chocolates, a handmade Valentine’s Day Card, all packed in a hand-painted gift bag. What is a Glass on the Grass? 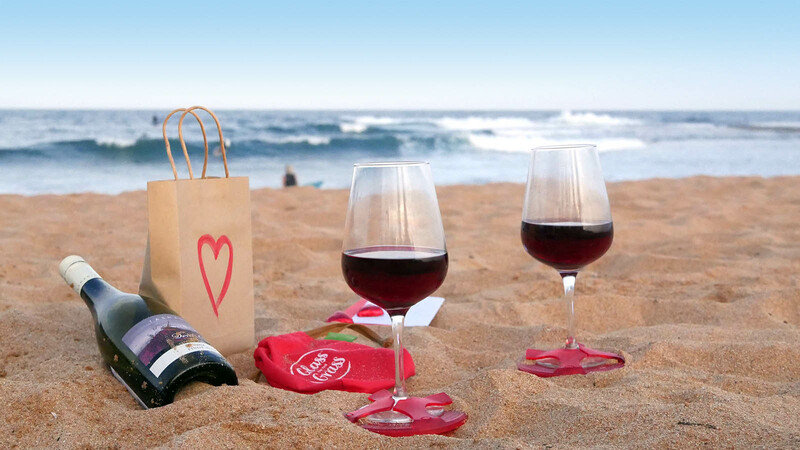 Glass on the Grass™ bases slip on your wine glass so you can put it down almost anywhere! 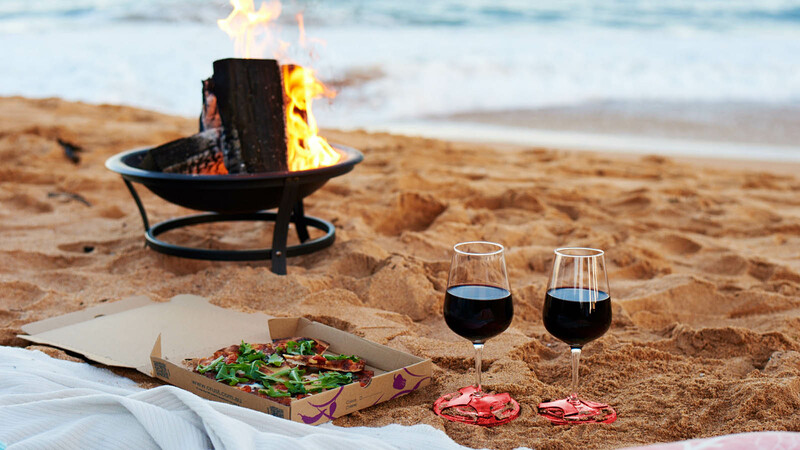 Slip one on and you can take a REAL wine glass outdoors. Perfect for grass, sand and brilliant for BBQs, pools and spas, and camping. 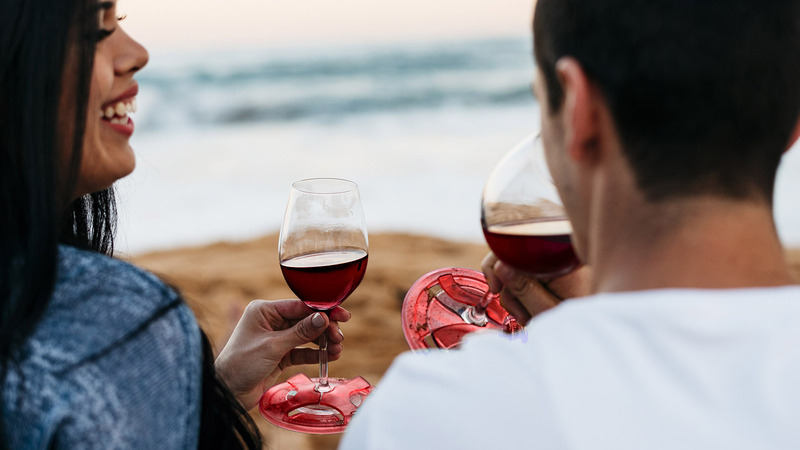 Designed and Made in Australia, because we love a drink outdoors.